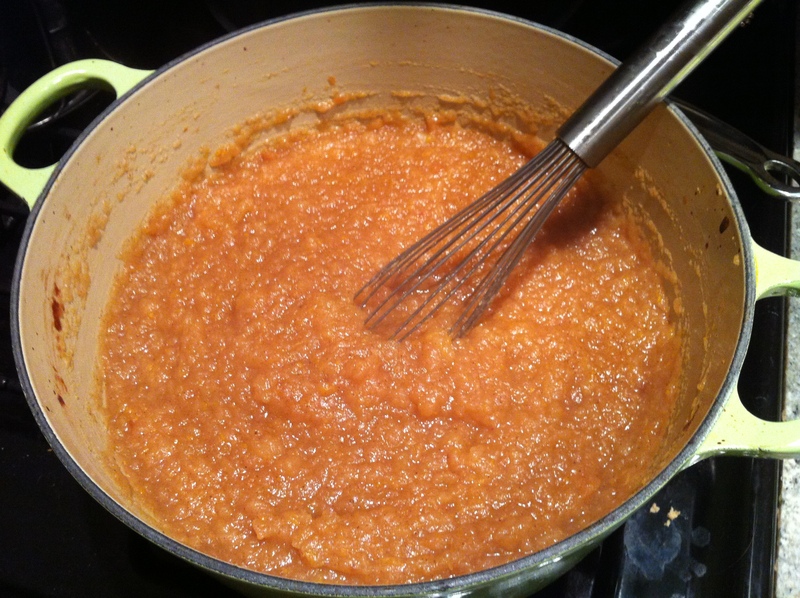 A good way to make a dent in 25lbs of apples is applesauce. I’ve made Alton Brown’s 10 Minute Applesauce before — it turned out very well, but this time I opted for Ina Garten’s recipe. The microwave is a truly magical/horrifying machine… 10 minutes in the microwave or 90 minutes in the oven and you get basically the same results. Zest the oranges and lemon into a large bowl — this is quite a zesty sauce! 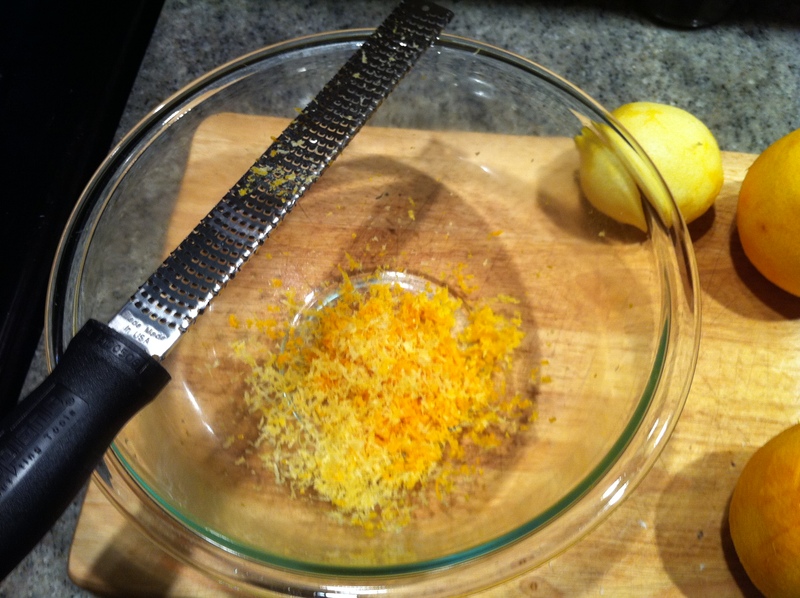 Then juice the oranges/lemon into the same bowl. Peel, quarter and core all apples — this takes a WHILE, so maybe do this sitting down. Put the apple pieces immediately into the zest/juice bowl so they don’t brown. 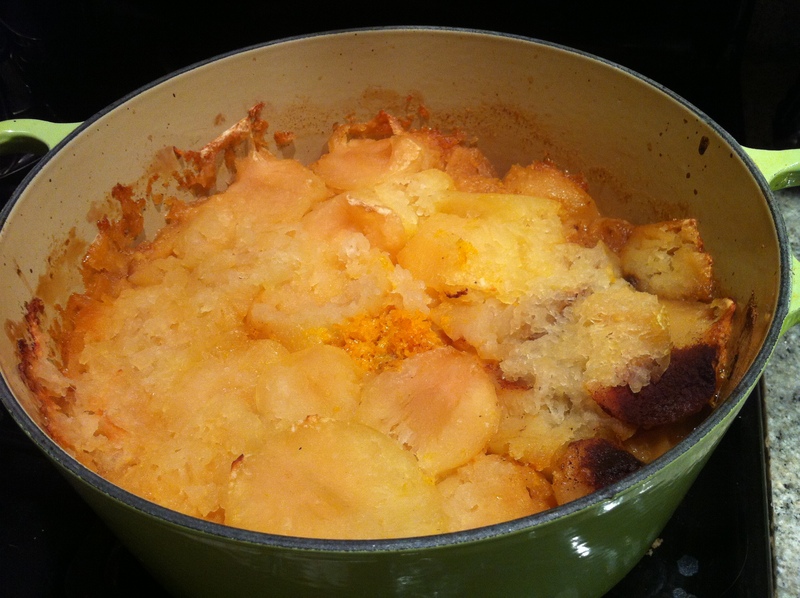 When all of the apples are done, pour the zest/juice/apple mixture into a large heavy-bottomed pot such as le Creuset. Add the brown sugar, butter, cinnamon and allspice, put the lid on the pot, and pop it into the oven for about 90 minutes. My apartment smelled like Christmas for a couple of hours… so wonderful. When the apples come out of the oven they will look a little funky. Nothing a whisk can’t fix! 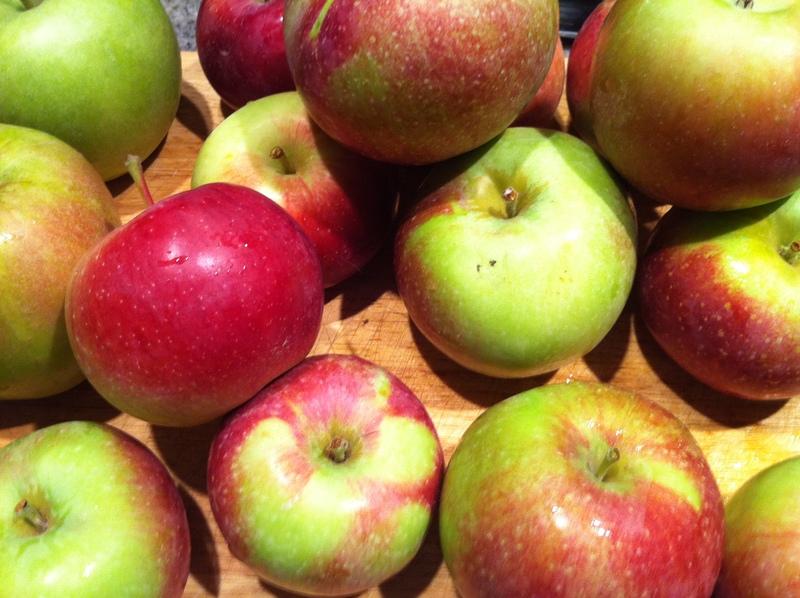 Whisk the apple mixture until it resembles applesauce, then either enjoy right away or store in mason jars for future use! The citrus and spices make this applesauce extra special — it would be amazing with potato latkes, or alongside a pork dish. Thanks for another winning recipe, Ina! Oh and, if anyone has any amazing apple ideas PLEASE PASS THEM ALONG. We are literally drowning in the fruit. This entry was posted in Apples and tagged apple sauce, apples, fall, Ina Garten, latke, pork, wilklow orchards. Bookmark the permalink.